Bar None Country Store is pleased to offer the “Chicken Kooler”. 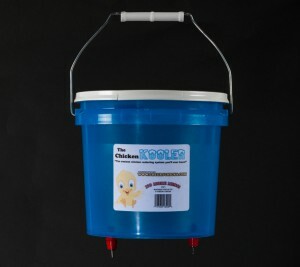 Available in 3 sizes, the Chicken Kooler offers drinker valves for multiple chickens to drink at one time. The Chicken KOOLER offers a clean environment, and easy maintenance for your birds. Click here to see the Chicken Kooler in action. This entry was posted on Friday, September 27th, 2013 at 2:30 am	and is filed under Chicks, News & Updates. You can follow any responses to this entry through the RSS 2.0 feed. Both comments and pings are currently closed.